Voice-based digital assistants are becoming prerequisites in most portable devices and Google Assistant and Amazon Alexa seem to be the software of choice for most vendors at CES 2018. With Alexa and Assistant now found in everything from smart cars to smart displays, how can headphones be far behind. Amazon has already announced that it is working with Bose, Jabra and Beyerdynamic to bring Alexa to headphones through the “Alexa Mobile Accessory Kit”, and it is now Google’s turn to get in on the act. 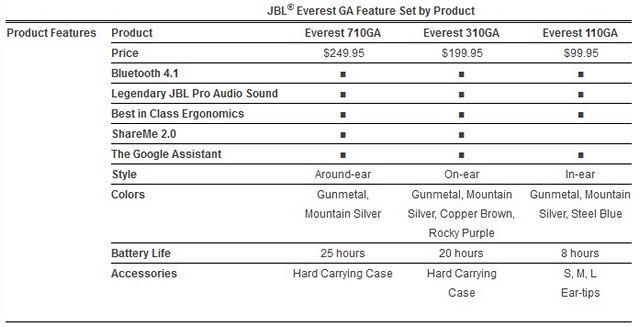 While the tech giant had earlier worked with Bose to integrate Assistant into the Bose QC 35 II noise-cancelling headphones, it is now JBL’s turn to bring Google’s voice-based digital assistant to three of its ‘Everest’-branded headphones, all of which will be available this spring on the company’s own webstore as well as at select retailers around the world. All three Google Assistant-integrated headphones from JBL come with the “GA” moniker and, includes the Everest 710GA, 310GA and 110GA. 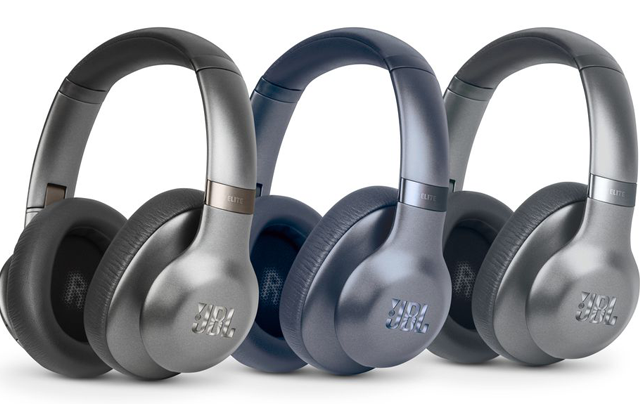 You’ll get Bluetooth 4.1 for connectivity and ‘JBL Pro Audio’ presets for what the company claims will be an enhanced audio experience. Pricing starts at $99.95 for the 110GA, while the 310GA comes with a $199.95 price-tag. The most expensive one of the lot, the 710GA, has been priced at $249.95. All three will be offered in Gunmetal and Mountain Silver colors, but the cheaper devices will have some more options. While the 110GA will also be offered in Steel Blue, the 310GA will also come in Silver, Copper Brown and Rocky Purple. 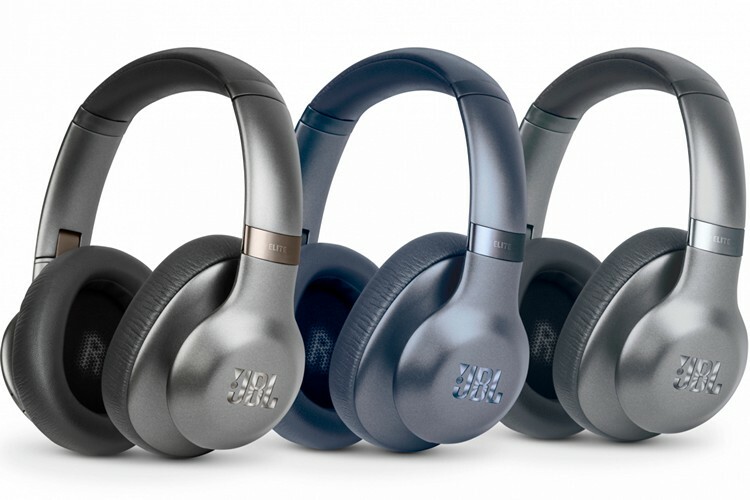 In a statement released to the press, Jessica Garvey, the Vice President of Harman’s Headphones and Wearables business (Lifestyle Audio Division), said that adding Google Assistant will enhance the experience for JBL customers. According to her, “Having the Google Assistant on JBL Everest GA headphones means you can stay connected to more of what matters to you, whether that’s enjoying music, getting information about the world around you or managing your daily tasks –just by using your voice”.